1. Some time we see a reference of ‘Least Developed country’ in the economic journals/papers etc. Which among the following is one of the parameters on the basis of which a country in economic parlance, is labelled “Least Developed” ? 2. Which of the following statements about the Indian Economy in the last decade is Not Correct ? The economy of India is the fourth largest in the world with GDP of about 4 trillion US $ at Purchasing Power Parity (PPP). Agriculture which was a major concern for the growth of the economy is now growing at an average of 7% per annum. A strong Balance of Payment (BOP) position in recent years has resulted in a comfortable stock of the foreign exchange reserves. India has emerged as a global leader in software and business process outsourcing. Indian economy has shown a remarkable average GDP growth of 6.8% during last ten years. 3. Who among the following is very closely associated with the day to day functioning of the Reserve Bank of India ? 4. Census in India was conducted recently (2011). In the eyes of the economists and policy makers, India’s demographics are very much favorable to growth. Which of the following statements is NOT in conformity with the traditional demographic characteristics of India and its relation with growth ? Indian youth are now biggest consumers of luxurious goods, they spend discretion- ary income and enjoy the associated status. 6. Frequent-changes in the cost of which of the following commodities at international levels, push inflation upwards ? 7. Indian Parliament in the year 2005 passed Special Economic Zones Bill which gave birth to hundreds of SEZs in the country. How do these SEZs help in the growth of the Indian Economy ? 9. Which of the following is one of the indicators of Human Development Index (HDI) ? 10. Which of the following is one of the measures of economic growth of a country? 12. What is the contribution of Service Sector in total GDP of India? 14. Which one of the following a measure of Fiscal Reforms, has Government of India adopted ? 16. Which of the following in India is implemented in.all the districts of the country for providing 100 days employment to those willing to do manual jobs in rural areas? 17. Which of the following is a Social Development programme launched by the Government of India for school children ? 18. Which of the following economic concept is categorized on the ba- sis of Current Account or Capi- tal Account or both ? 19. Which of the following acts is/ was introduced for the purpose of sustainable growth ? Promoting International understanding among the nations. 22. Which of the following is the purpose of introducing ‘Know Your Customer’ norms by the banks ? To bring more and more people under the banking net. 23. Which of the following organizations is established mainly to promote Micro, Small & Medium industrial sector in India ? 24. As reported in newspapers, the Market Borrowings of the Union Government have gone up in 2011-12 (upto September 2011). What is the main reason for the same ? 25.“Core Industries witness lower growth in last few months” – was the news in some major news- papers recently. This means the performance of which of the following is NOT taken into accounts for the same? 26. ‘Center brings the curtain down on DEPB scheme’ – was the news recently. What is the full form of the term DEPB ? 28. As per recent reports the Coal Ministry of India has allocated certain coal blocks to four NTPC Thermal Power Plants in four states. Which of the following states is NOT among these four states ? 30. Which of the following organizations has given a warning to the nations of the world that there may be increased risk to global financial stability in the world ? 31. Which of the following is considered Non Tax Revenue of the Government of India as projected in the Union Budget ? 32. What does the letter ‘M’ denote in the abbreviated term ‘MRTP’, an act which was applicable in India till recently ? 33. Which of the following is a popular women’s Empowerment Programme in India ? 34. We know that the Industrial sec- tor plays an important role in the development of India. Which sector does not come under Industrial sector ? 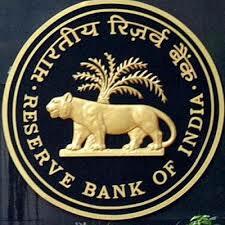 35. Who among the following is one of the Deputy Governors of the RBI? . 36. What does the term ‘AAY’ denote which is the short form of a Sociál Scheme launched by the Government of India? 37. Which of the following organizations of women in India will be arisen out of the confluence of three movements – labour movement, cooperative movement and women’s movement based on Gandhian Philosophy ? 39. Which of the following factors has now put a check on Migration of Agricultural Labourers from one place to another in India? 40. Which of the following Acts helps a bank in its day to day activities?